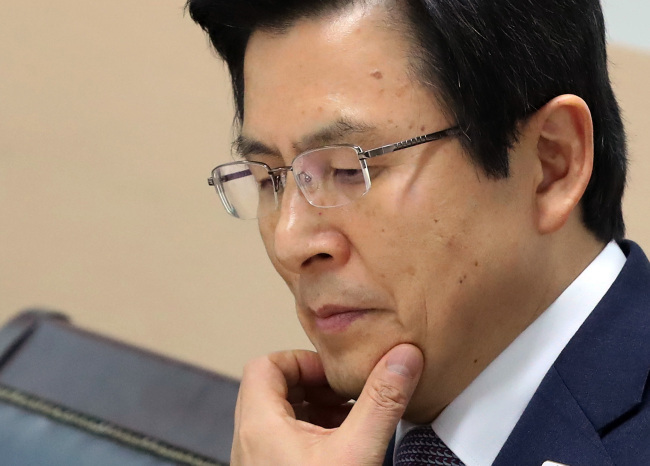 Acting President and Prime Minister Hwang Kyo-ahn said Monday he would not extend the outgoing special investigation on President Park Geun-hye‘s corruption allegations. “After much consideration, acting President Hwang has decided to disallow the extension of the independent counsel investigation,” said Hong Kwon-hee, public affairs chief of the prime minister’s office, in a press briefing at 9:30 a.m. The announcement came shortly after the main opposition Democratic Party of Korea’s floor leader Rep. Woo Sang-ho told the press he had received such notice from the prime minister‘s office. It also came just a day ahead of the deadline for the independent counsel team, which is due to terminate its 70-day investigation and hand the results over to state prosecutors. Opposition parties had earlier sought to pass a revision bill of the Independent Counsel Act to prolong the investigation mandate without the acting president’s approval. The effort, however, was thwarted due to the ruling conservative Liberty Korea Party’s dissent.